Your product is the most important aspect of any image on your website. There are many similarities between a traditional store and running an online store. Regardless of where you plan to sell your products, you need to offer items that people want. The main difference between the two types of store is how you present your products. For an ecommerce store you need to go the extra mile in displaying your products effectively in order to capture your potential customer’s attention and get sales. Brick & Mortar stores will always have an advantage over online stores in terms of product experience. You have staff on hand able to constantly improve the appearance of products, how they are displayed. The look of a particular product is the thing that initially attracts a potential customer. Customers can see the fine details up close, more importantly, they can feel the product and see how it works in store. If the visual appearance of the product attracts a potential customer then the look, feel and how it works completes the sale. An online store, on the other hand, doesn’t have the physical pluses of the brick and mortar store. How Can You Possibly Compete Online? The trick here is to maximize the physical appearance of your products in any photographs and also how you display the products to best illustrate their best points. It is important to setup your products properly and put in sufficient planning into how all your products will look on your website. If you do this right from the start then it will save you on up keep later. Rarely do e-commerce websites succeed on the use of a single product image and a product description. There is a lot more involved in creating the right impression through your product shots. Below we discuss 20 of the ways in which you can improve your product shots leading to increased sales conversions. It’s always best to have a clearly thought out plan before you go to the time, effort and particularly expense of creating your product shots. There are a number of important factors to consider such as catching a potential customers eye, developing a brand through your images, colours and how they fit into your website design, what angles you should shoot your products from, what post-production techniques will be required, shoot your products in context, focus on what’s important and make your images ‘shareable’ and interesting. A lot to take into consideration then, but this planning part cannot be underestimated. Take your time and if needed seek outside help and advice. Consistency is key if you want to develop a strong brand through your website and also present your products in a professional light. Think out a clear plan of exactly what you want your product to look like before you start. A great tip is to look at other e-commerce and see what they are doing right or wrong. No matter how well you take your product shots you will usually require some sort of post-production editing. Background removal, retouching, colour correction being some of the most important ones. Carefully consider how you plan to perform your post-production editing. If you have significant amounts of images then it may be an option to outsource the work to a professional photo retouching services such as Pixel By Hand. You should be looking to make your product images retina ready, this means the image will be Sharp and clear to the eye. In order to achieve this, you need to maximize the number of pixels within an area. All your product shots should be taken using a high-quality camera, preferably DSLR. Another key aspect that a lot of businesses fail on is that their website or theme does not support retina ready shots. This is paramount to your products being displayed in their best light. JPEG or png are the recommended file format’s to use on your site. The main difference between the two is if you want to place your product onto a coloured background as opposed to a white one. Png file format allows you to create a transparent background that can be placed on any coloured background you choose. A potential customer is not able to touch your products, so one way around this is to give them more of a feel to your product is to provide multiple angles. Some e-commerce retailers use rotatable images so a potential customer can view all angles of the product. This is proven to increase conversions when compared to a single product shot. Don’t forget that your images can be picked up by search engines. This gives you the opportunity of displaying your products elsewhere. You should consider including an alt tag to your image that will include a particular keyword, you should rename your Image before you upload it – name it something that is directly related to the product and also don’t forget to add a description to the product image that includes the same keyword. Another way to help search engines find your product images is by using a sitemap on your website. The sitemap will make it easier for search engines to find particular content on your website. It’s always a good idea to maximise the information you provide search engines. It is vital that you have a fast loading website. Not only do web search engines love a fast loading website, but more importantly potential customers have limited time to spend on your site. You can’t have a slow loading web page or images, they will simply get annoyed and clicked off your site. Whilst resizing your images may help in speeding up your website load time, the downside is that your images are degraded. You are better off optimising your product photos, compressing images without losing any quality. If you are using WordPress for example to build your website then there are many image optimisation plug-ins available. Depending on the product you are trying to sell, you may be able to place the product within a set context. This could mean people using the product or using other props to enhance its appearance. Again, this will depend completely on the product you are trying to sell. Your product is the most important aspect of any image you use on your website. So it is essential that Focus remains on it. Limiting the number of distractions in an image also gives your product images and website a cleaner feel. Potential customers eyes only have the most important things to focus on – your products. Don’t forget social media. If your product images are not good then customers will want to show off their latest idea or purchase across social media. Make it easier for people to share your images by providing social media or email sharing icons for them to click on. Images of customers using or displaying your product can be some of the best converting. At the end of the day, what is better than a happy customer showing off the products that you sell. These may be readily available across social media, but you can also transfer them directly onto your website and use them as proof. Gifs can be an effective way of displaying multiple images within one space. They also display multiple angles automatically without a user needing to click on an image. Take care though that the gifs are optimised for your webpage. Video can also be a very effective way I was showing off your products. Many websites used videos to explain exactly how a product works all the best way to display it. Again though always be careful when using video that it does not affect your websites load speed. In fact, the list of test you can perform is almost endless, the process needs to be ongoing if you are serious about improving your product images. How Important Is Your Product Photography? 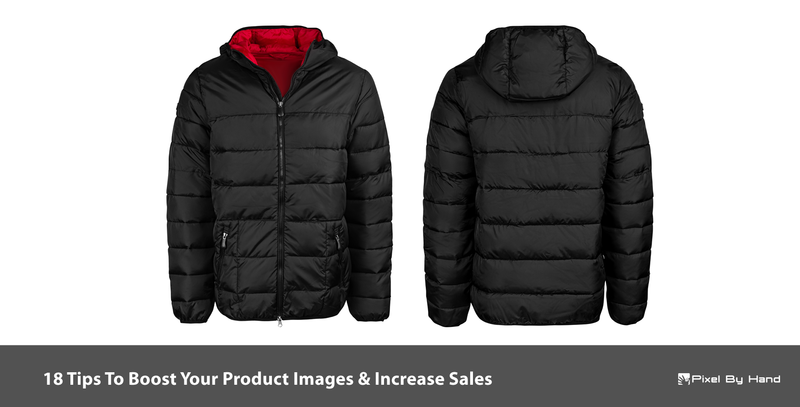 Maximising the potential of Product images is vital to selling products online. Your potential customers will always be drawn to an image prior to reading any text on your website. Your product shots need to be maximised in terms of how you display and use them. If you need any further help or if you have any questions about boosting your product images then you can contact us here. If you need product photography editing then It’s always worthwhile considering reaching out for help. It can greatly increase your efficiency by outsourcing certain aspects of your business.